There is still lmited slots available for Amy from 25th to 27th April. Hurry to book her now, dun miss this gem! 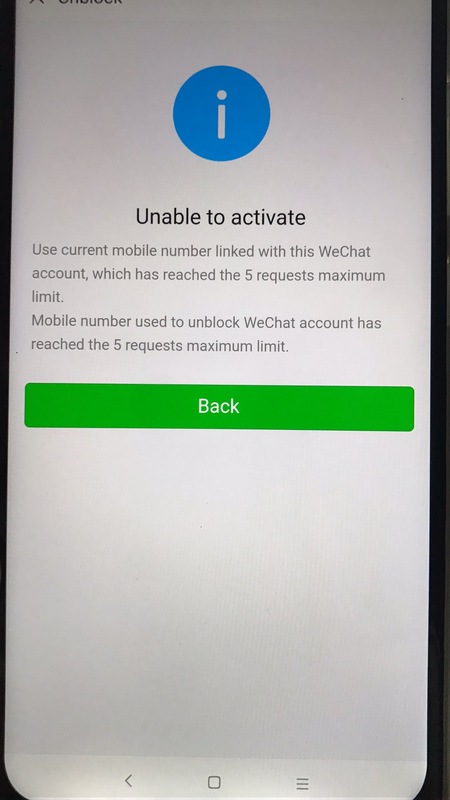 Hi guys, urgent ,we got locked out of our WeChat account so for those customers who cannot find us please contact us via Whatsapp or Telegram . You can also pm us on SBF. I am sorry if we haven't been replying messages to some of the brothers here today, as we have been busy since yesterday trying to resolve some issues we had faced, including having our WeChat blocked this morning. Just to share, something unfortunate happened to Britney yesterday. A customer was supposed to pay her for a 2-hour session yesterday, but not only did he not pay her, he also stole money from her during the last session of the day. She was also being sabotaged; hotel security came into her room and demanded she leave immediately as they suspected her of working as a freelance at the hotel. All deposit and payment for the rest of her stay was also confiscated. Although Britney was deeply traumatized from last night, she continued to stay professional and managed to complete her bookings today. I have to admit we are new in this. I had initially expected that handling the police might be the toughest or the riskiest in this job but I never expected that handling the competition and being sabotaged might actually be the hardest thing for us to handle. Our original mission in setting up VPremium was to bring in quality Vietnamese ladies at reasonable prices to our brothers in Singapore, and also with the hope of creating a safe and fun environment for our brothers by having all our ladies screened for HIV/STD at a reputable hospital before they come, just like what is required at GL. Some may ask, you guys just want to make money, so why bother. I don't know, maybe I just want us to be different, I just feel that all of us, regardless of what we do, we can surely think of something to continually improve the scene or the work we do, rather than compete with each other through dirty means and tactics. Hence, as such, I would to implore all competitors not to sabotage each other, but rather to focus on competing through providing genuine quality ladies for our brothers in Singapore, through genuine demand and supply factors, rather than compete through dirty tricks like what happened yesterday.